Executive Director of Tampa Museum of Art, Todd Smith, interviews with Sarasota Visual Art about the exhibit of approximately 70 works of art that span the career of Romare Bearden. The Tampa Museum of Art is pleased to present an exhibition of approximately 70 works of art that span the career of ROMARE BEARDEN (SOUTHERN RECOLLECTIONS). Executive Director of Tampa Museum of Art, Todd Smith, interviews with Sarasota Visual Art about the exhibit. sVA: Why did you want to put on this exhibition? 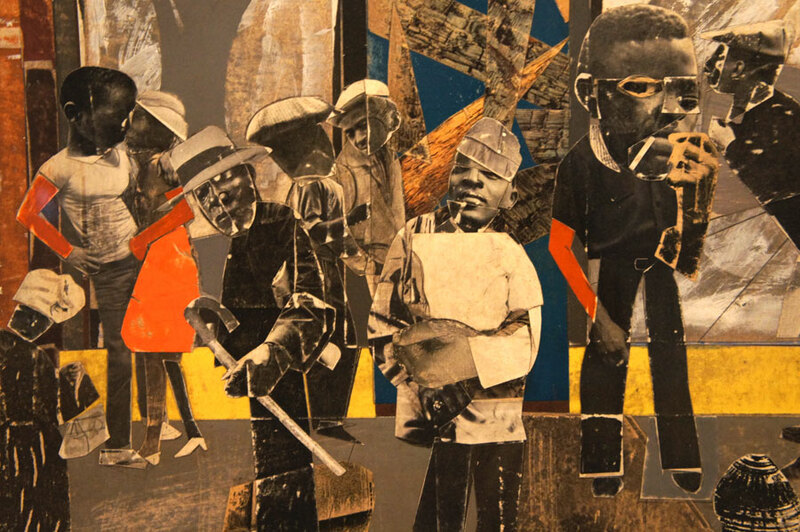 What is it about Romare Bearden that makes him so extraordinary to you? TS: For me, Bearden represents an important coming together of abstraction and representation that was at the core of the 20th century artistic enterprise. His embrace of collage provides probably the most intriguing evidence of how in tune he was with the fragmented nature of his world. Romare Bearden close up from "On the Block"
sVA: Regarding Bearden’s work, Bearden plays with scale throughout the work. For instance, he includes an image of a child’s face that is larger than some full-length figures within the same panel. What do you think Bearden was trying to convey with this creative use of scale? 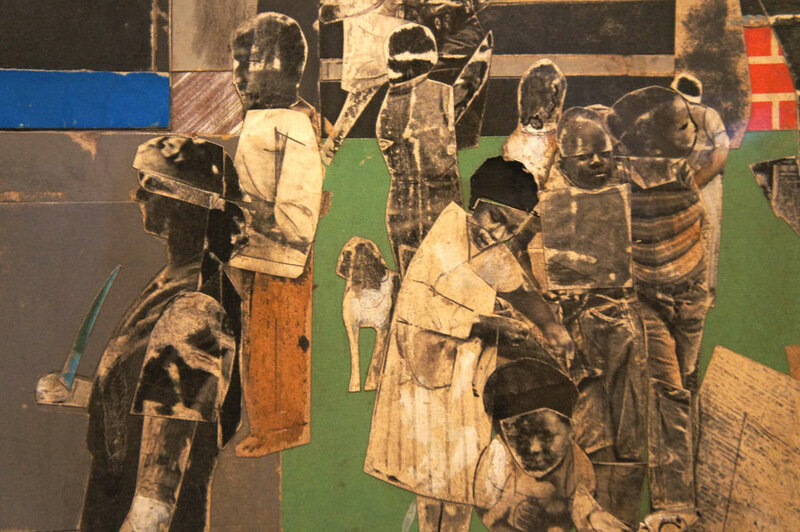 TS: Bearden took artistic license in his collages. He exaggerated certain anatomical features—heads and hands, for instance—as a way of drawing attention to the importance of those features. The enlarged hands, for example, are a motif for an embracing gesture, the idea that these hands can protect. sVA: This year is 101st birthday of the innovator, scholar, and visionary, Romare Bearden. This exhibition also is opening a few days before Black History Month. What do you think Romare Bearden would want the visitors of this exhibition to walk away with? TS: While it is difficult to say exactly what Romi would have wanted, I can suggest that he would have hoped that the experiences he captures and the memories he chronicles would be seen as part of a larger collective appreciation of myth and ritual in our everyday world. sVA: One of your first positions as a curator was with the Mint Museum in Charlotte, N.C., the same city Bearden was born in, and organizer of this exhibition. 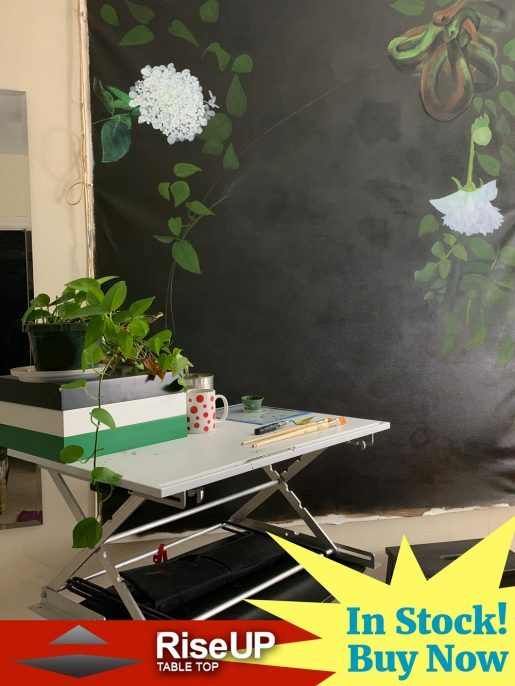 Do you feel a personal connection with the work of Bearden and if so how? TS: I am very lucky in that I’ve had an opportunity to get to know Bearden through his works at several of the museums I worked. My first job in the museum field was at the Hickory Museum of Art in the late 1980s. There, the collection included a wonderful collage by Bearden. That work is actually in this exhibition, so it was a nice homecoming for me. Later, I did work at the Mint Museum and got to know his work much more deeply. I also had a chance to work on securing the Hewitt Collection of African-American Art for the Afro-American Cultural Center in Charlotte and Bearden’s works were key component of that collection. sVA: This exhibition in its popularity and content reaches out into the Hillsbrough community and all of South Florida. This exhibition has enormous potential. Basing this exhibition around the values and interests of its museum goers, what do you expect the museum to gain from this exhibition? TS: Our hope is that viewer will understand in greater depth Bearden’s skill at creating compelling narratives of his past and the past that he shares with so many others. We also hope visitors will appreciate how truly modern the artist was.